My team and I look forward to having you as our guest here. As a UNESCO World Heritage Site, Jiuzhaigou is famous for its ethereal landscape of clear pools, waterfalls and limestone terraces. 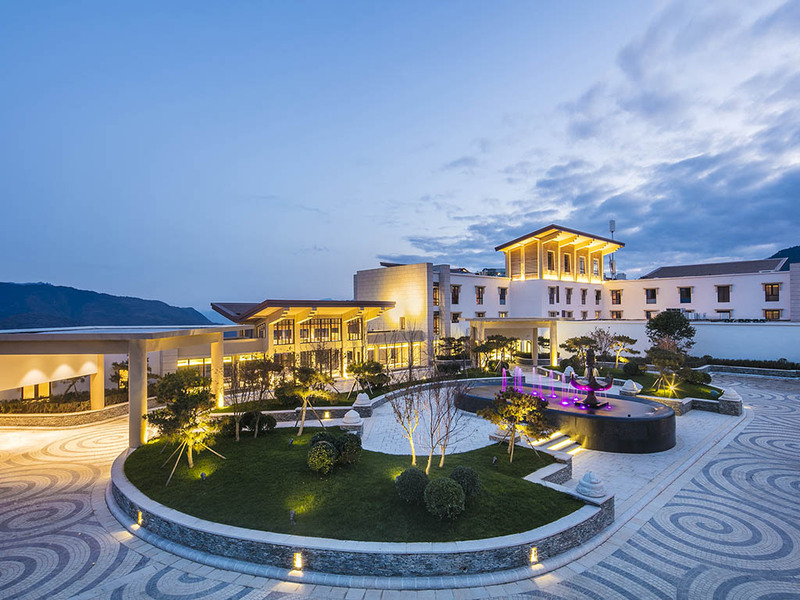 Nestled on a spectacular mountain in Jiuzhaigou County of Sichuan Province in southwest of China, Banyan Tree Jiuzhaigou presents an exclusive sanctuary of 209 guestrooms and suites, all with spectacular views of the mountain or valley from spacious balconies. Leisure-seekers, incentive groups or couples will find holiday bliss and a respite from bustling city life here. Incomparable location in Jiuzhaigou Area - 17km mountain road ensures privacy and tranquility. Spacious rooms with awe-inspiring view that noone can beat in the area. High-ceiling lobby lounge with panoramic view of the mountains and valleys. Adjacent to a stunning 18-hole golf course. The resort's design seeks to maintain the rich classical oriental styles unique to the region while reflecting an architectural style that is modern and clean. The room decor reflects the rich cultural heritage of the Qiang nationality, a 3,000-year local ethnic minority group well known for its intricate handicraft, carpet weaving and colourful embroidery. Ease into comfort and treat yourself to healthy natural recipes, a refreshing fruit juice, or nourishing snacks at Aqua Café. Hot pots are a perfect way to embark on a gastronomic journey to wellness with local ingredients immersed in piping hot soup bases flavoured with herbs and other tasty traditional oriental remedies, from spicy hot soup to mild chicken broth. Ming Yue restaurant offers indoor garden dining and serves a sumptuous buffet breakfast and an enticing spread of international cuisine. Expect familiar Chinese dishes as well as a flexible kitchen serving global favorites. Lounge around this quiet semi-circular area with its elegant high ceiling, lulled by music the whole day. The aroma of freshly grounded coffee beans will brighten your mornings while our expert mixologists concocts your favorite cocktail.